-Emblem System now shows the total BR ofall ten badges, and can be refreshed to show latest BR. 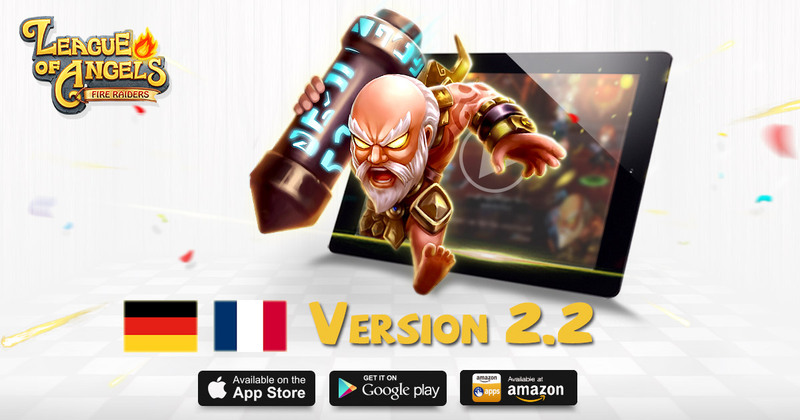 The new update 2.2 will be available very soon!!! Therefor there will be a CLOSED SERVER MAINTENANCE on early THURSDAY 20th AUG, during this time all server will be offline. Special UPDATE REWARD will send right after the Server Maintenance. -7 am to 1 pm (EU servers). -We will update the server status on the Facebook Fan page. Disappointed as well, the only new feature we\'re getting is a friend\'s list. Nothing else matters since no one in the game is level 85 yet. pleaee give us an answer about when will u implement cross server battle or awakened heroes? And my idea: can you add craft system? It\'s really pissmeoff when I must search every hero overview to make a chief cuff. I\'m bad at remembering every single item. language Spanish ? .... WHENN!!!!!!!! ???????? Bulgarian or Rusian translate game???????????????????????????????? 2019-4-19 01:13 GMT+8 , Processed in 0.061612 second(s), 52 queries .